Plum pox virus (PPV) is the causal agent of Sharka, one of the most devastating diseases of Prunus species, causing important agronomic and economic losses (Cambra et al., 2006). Since its first description in Bulgaria (Atanasoff, 1932), the virus has spread to a large part of the European continent, around the Mediterranean basin and Middle East, South and North America (Chile, USA, Canada, and Argentina) and Asia (Kazakhstan, China and Pakistan) (Capote et al., 2006). The use of resistant cultivars represents the most effective solution for PPV control and management. A transgenic PPV resistant plum, C5 (‘HoneySweet’), has been developed (Scorza et al., 1994) exploiting post-transcriptional gene silencing (PTGS), providing a highly efficient and effective resistance against PPV (Ravelonandro et al., 1997; Scorza et al., 2001). The resistance has proved durable and stable for more than 10 years in field trials in the Black Sea, Middle and Western European regions (Malinowski et al., 2006; Zagrai et al., 2008a). In addition, graft-inoculation of C5 plum with several other viruses in the field and in the greenhouse have not influenced the stability of the engineered resistance to PPV over a three dormancy periods (Zagrai et al., 2008b). 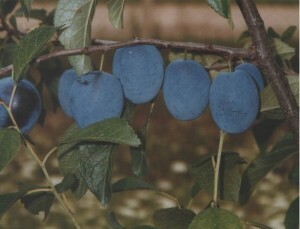 The transgenic C5 (‘HoneySweet’) plum has shown no impact on the composition of virus populations and no impact on non-target organisms over an extended period of time (Fuchs et al., 2007; Capote et al., 2008; Zagrai et al., 2008c). Movement of ‘HoneySweet’ pollen is limited. Work with ‘HoneySweet’ has provided new insights into the use of PPV resistant transgenic plums and demonstrated the lack of negative environmental impacts of these plums. These studies indicate the advantages of this technology to control the spread of PPV, to significantly improve plum production in areas of PPV infection, and to help maintain the genetic diversity of plum in these areas. In order to carry out further field trials with C5 transgenic plum and to gain more information relating to the agronomical and phenotype performance and compatibility of this event under PPV endemic area and geo-climatic conditions of Romania, a new application file should be submitted. National Authority for Consumer Protection – considered that the request is outside of its competence. General response: because the Ministry of Agriculture as beneficiary of this study gave unfavorable consent, the notification request was rejected. Taking into account that the unfavorable consent was based on a wrong interpretation of art. no. 4 Directive 2001/18/EC that does exclude the use of antibiotic resistance genes for research purposes, but only beginning with 2008, we issued an appeal including the Opinion of European Food Safety Authority (EFSA-Q-2003-109, adopted: 02/04/2004) according to which the npt II gene is considered without adverse effects on human health and the environment and has a safe history of use of more than 13 years. The Ministry of Agriculture reconsidered its position following our appeal and transmitted a favorable consent to Ministry of Environment on November 2006. At that time we obtained favorable consents from all five regulatory bodies but unexpectedly, the Ministry of Environment did not approve invoking a procedural error of the Romanian regulatory procedure. Precisely, the Ministry of Environment has invoked that the Ordinance no 49/2000 does stipulate a possible reconsideration of a consent already issued. This is contradictory because the same ministry initially accepted our appeal and forwarded it to Ministry of Agriculture. In this situation, the Ministry of Environment suggested to submit a new application. In February 2007 a new application was submitted. In May 2007 all steps of the evaluation procedure were concluded but the permit was delayed. In July 2007, the Ministry of Environment planed an additional public regional debate. The results showed unanimous support from interested factors. Although the evaluation procedure was concluded and all necessary documents for approval were presented, the Ministry of Environment delayed, without justification, the granting of the permit. Finally, the authorization no. 4/9 November 2007 for a new field trial with C5 (until 2011) was granted but imposed further restrictions making the experimental trial almost impossible to carry out. One of the restrictions refers to the fact that the trees must have a protective cover during the vegetative period. The rationale for the requirement is not clear since field trials have been successfully and safely carried out in Spain, Poland and Romania since 1996 and the ecological safety aspects of these plantings have been published in peer-reviewed journals and presented in the application file. It should also be noted that the total area of the “authorized” trial is only 400 m2 which is sufficient for only approximately 15 plants of C5 and 15 plants of the conventional cultivar. In order to make the restrictions more reasonable, we filed a petition to the National Agency for Environmental Protection as Competent Authority and presented arguments using reference data and literature. The response of the Competent Authority was that we should submit a new application file. This implies additional costs and is time consuming. Sharka has serious agronomic and political consequences due to enormous economic losses. Measures such as quarantine and eradication of infected trees have proved to be insufficient to prevent the continuous spread of PPV, and today many countries practice coexistence with the disease in spite of heavy losses in some cases. Due to the rapid spread of PPV by aphids and the presence of many potential hosts, Sharka disease is difficult to eradicate once it has become established in an area. Therefore, the use of resistant cultivars represents the most important strategy to control PPV. The utilization of natural sources of resistance is important for the development of new varieties but it is difficult and lengthy to incorporate such resistance into stone fruits varieties through conventional breeding. The resistance of C5 plum is heritable and transmitted through seed and can be easily selected and therefore ‘HoneySweet’ can be used as a parent in breeding programs to rapidly select new resistant types (Scorza et al., 1998; Ravelonandro et al., 2002). In addition, direct transformation of currently popular or traditional cultivars is currently an option in some Prunus species. Zagrai I., Ravelonandro M., Scorza R., Mnoiu N., Zagrai L., 2008a. Field release of transgenic plums in Romania. Bulletin of University of Agricultural Sciences and Veterinary Medicine Cluj-Napoca, Animal Science and Biotechnologies. 65:358-365. ISSN 1843-5262. Zagrai I., Capote N., Ravelonandro M., Cambra M., Zagrai L., Scorza R., 2008b- Plum pox virus silencing of C5 transgenic plums is stable under challenge inoculation with heterologous viruses. Journal of Plant Pathology, 90:63-71. Zagrai I., Zagrai L., Ravelonandro M., Gaboreanu I., Pamfil D., Ferencz B., Popescu O., Scorza R., Capote, N. 2008c. Environmental Impact Assessment of Transgenic Plums on the Diversity of Plum Pox Virus Populations. Acta Horticultuarae 781: 309-318. Atanassov D., 1932. Plum pox. A new virus disease. Ann Univ. Sofia Faculty Ag. Silv. 11: 49-69. Cambra M., Capote N., Myrta A., Llácer G., 2006. Plum pox virus and estimated costs associated to sharka disease. Bulletin OEPP/EPPO Bulletin 36:202-204. Capote N., Cambra M., Llácer G., Petter F., Platts L.G., Roy A.S., Smith I.M., 2006. A review of Plum pox virus/Une revue du Plum pox virus. In: Bull. OEPP/EPPO Bull. 36 (2) : 201-349. Fuchs M., Cambra M., Capote N., Jelkmann W., Kundu J., Laval V., Martelli G.P., Minafra A., Petrovic N., Pfieffer P., Pompe-Nocak M., Ravelonandro M., Sldarelli P., Stussi-Garaud C., Vigne E., Zagrai I., 2007. Safety assessment of transgenic plums and grapevines expressing viral coat protein genes: new insights into real environmental impact of perennial plants engineered for virus resistance. Journal of Plant Pathology 89: 5-12. Malinowski T., Cambra M., Capote N., Zawadzka B., Gorris M.T., Scorza R., Ravelonandro M., 2006. Field trials of plum clones transformed with the Plum pox virus coat protein (PPV-CP) gene. Plant Disease 90:1012-1018. Ravelonandro M., Briard P., Monsion M., Scorza R., 2002. Stable transfer of the plum pox virus (PPV) capsid transgene to seedlings of two French cultivars ‘Prunier d’Ente 303’ and ‘Quetsche 2906’, and preliminary results of PPV challenge assays. Acta Hort. 577:91-96. Scorza R., Ravelonandro M., Callahan A.M., Cordis J.M., Fuchs M., Dunez J., Gonsalves D., 1994. Transgenic plums (Prunus domestica) express the plum pox virus coat protein gene. Plant Cell Repts. 14:18-22. Scorza R., Callahan A., Levy L., Damsteegt V., Webb K., Ravelonandro M., 2001. Post-transcriptional gene silencing in plum pox virus resistant transgenic European plum containing the plum pox potyvirus coat protein gene. Transgenic Research 10: 201-209. Scorza R., Callahan A., Levy L., Damsteegt V., Ravelonandro M., 1998. Transfering potyvirus coat protein genes through hybridization of transgenic plants to produce plum pox virus resistant plums (Prunus domestica L.). Acta Horticulturae 472:421-425.